Cryptococcal brain lesions. 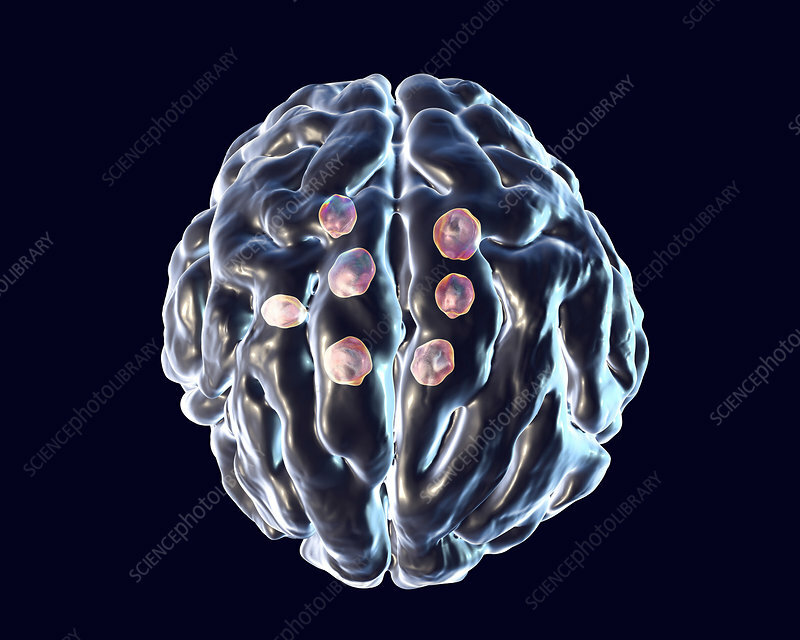 Illustration of multiple brain parenchyma lesions caused by the fungus Cryptococcus neoformans. C. neoformans is a yeast-like organism. Cryptococcosis is a rare infection that affects people with a deficient immune system such as in AIDS (acquired immunodeficiency syndrome). It is caused by inhaling the fungus found in soil contaminated by pigeon droppings. Infection may cause meningitis, or single or multiple lesions in brain parenchyma. Cryptococcus neoformans var. Cryptococcus neoformans var.